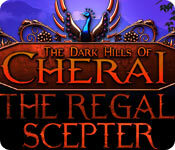 Explore The Dark Hills of Cherai and find The Regal Scepter in this unique Hidden Object Puzzle Adventure game! Locked away behind a door that can be opened only by combining 12 amulets, protected by a guardian creature, lies a powerful piece of regalia etched in the history of the village of Cherai as the Regal Scepter. Follow Tara, Maya, and Rahul as they embark on an amazing journey to find the ancient artifact! Mysterious events are threatening DinerTown`s biggest wedding in history! Help Flo explore the town and set things right! A recently unearthed artifact proves a dark legend to be true! Follow the trail of a group of missing graduate students.